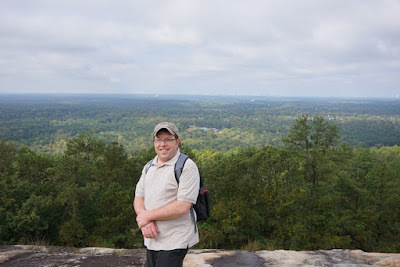 I was in Atlanta for the weekend attending a friend's wedding. 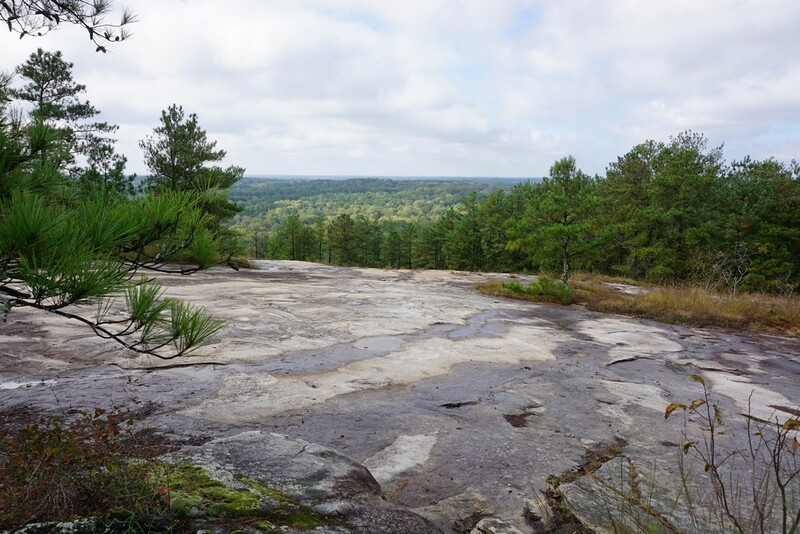 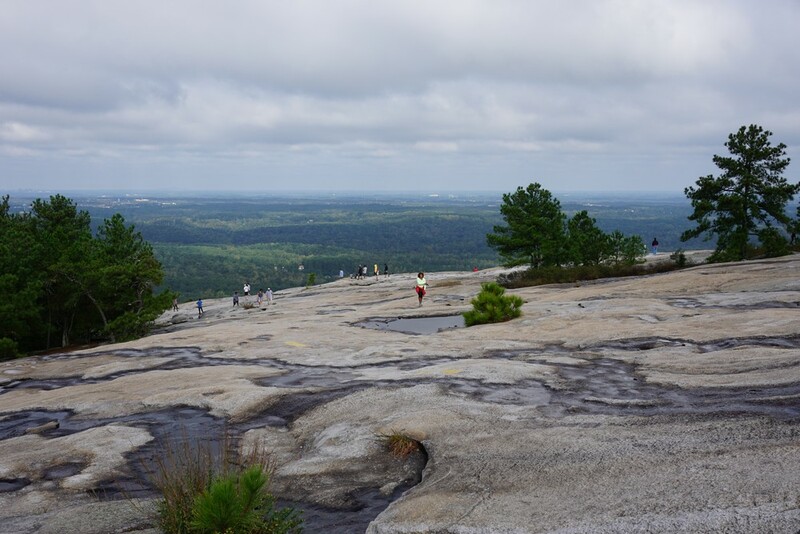 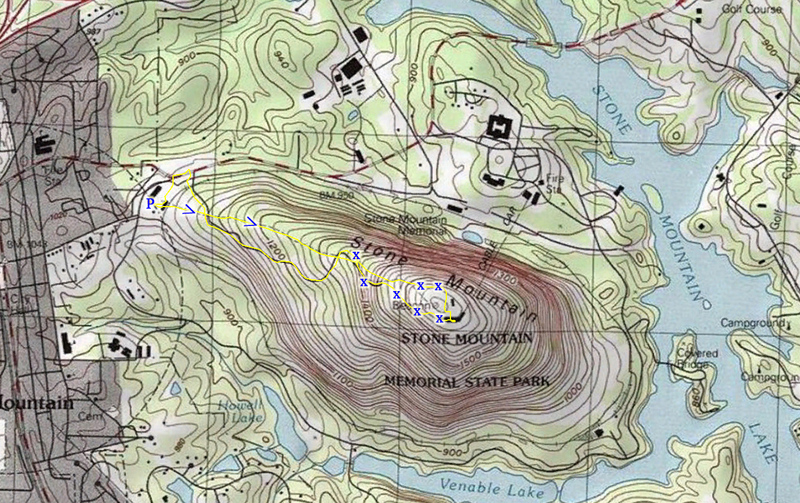 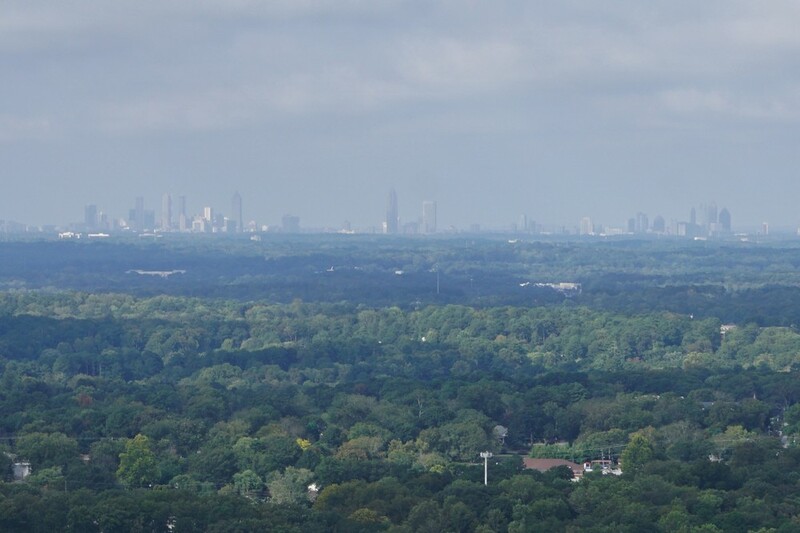 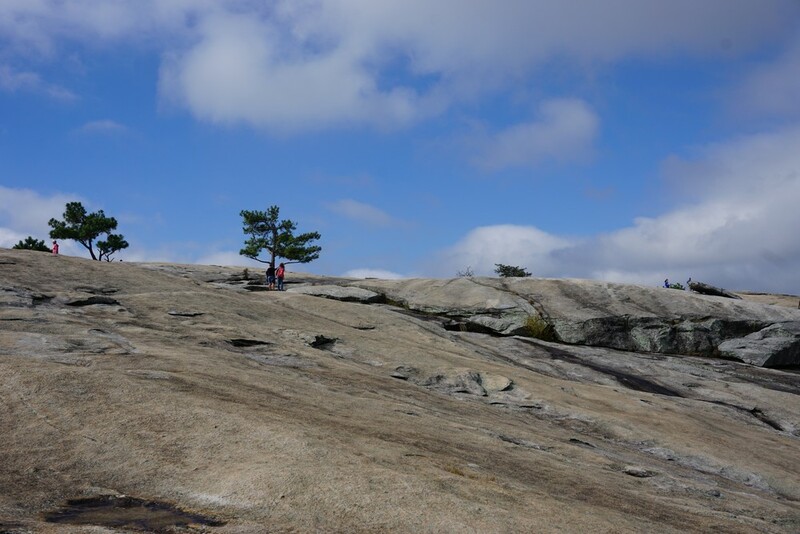 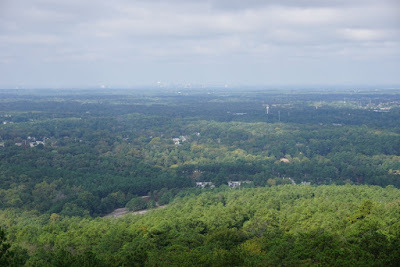 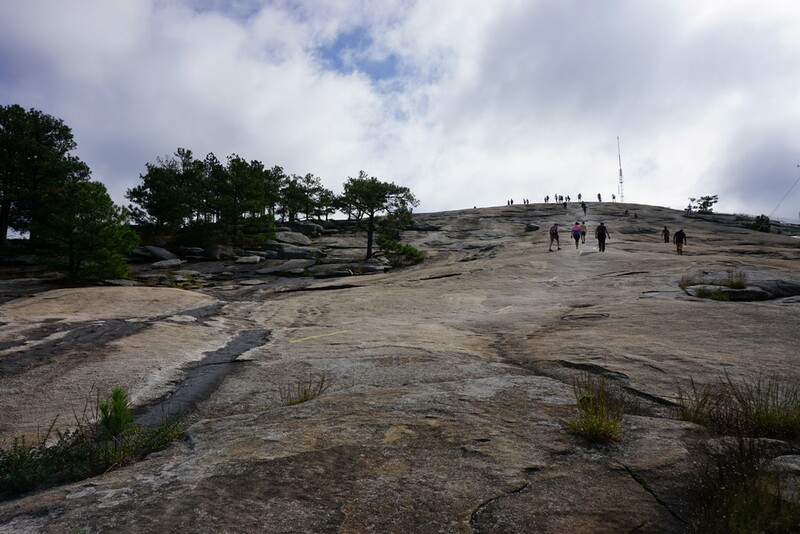 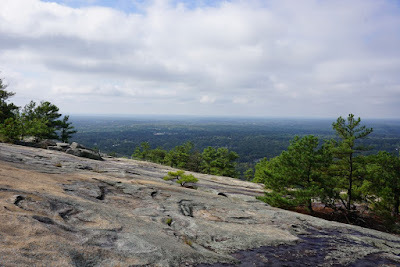 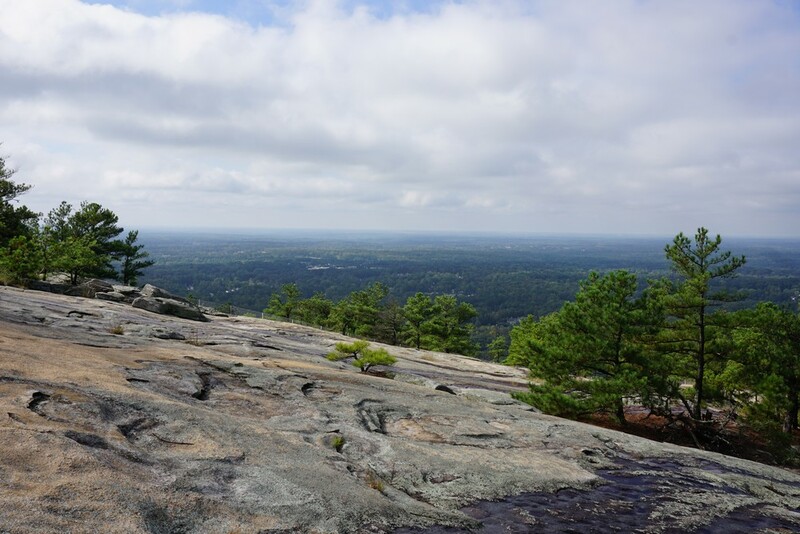 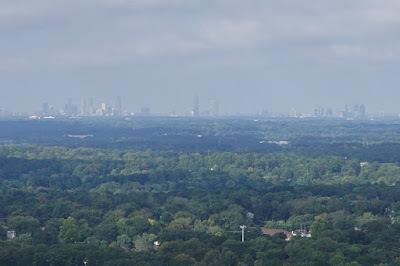 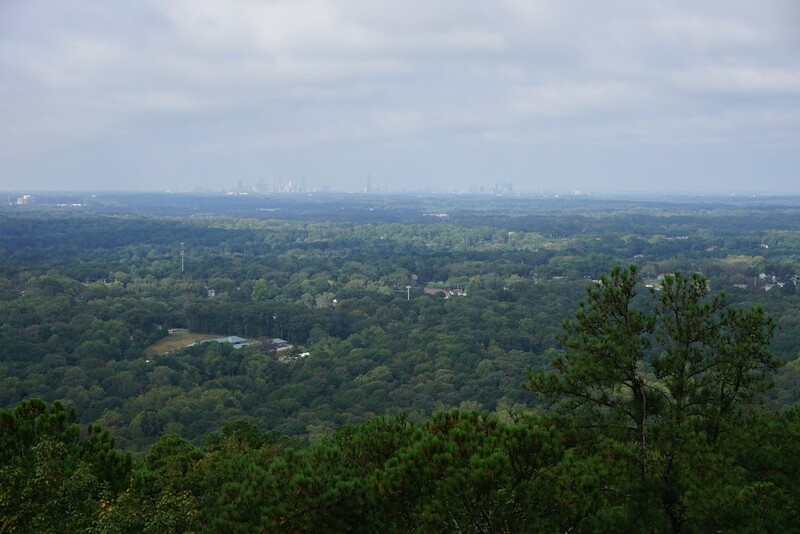 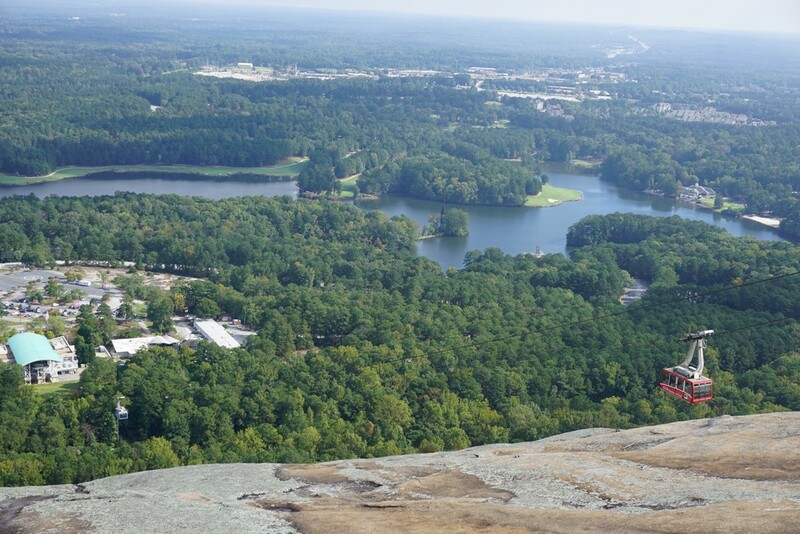 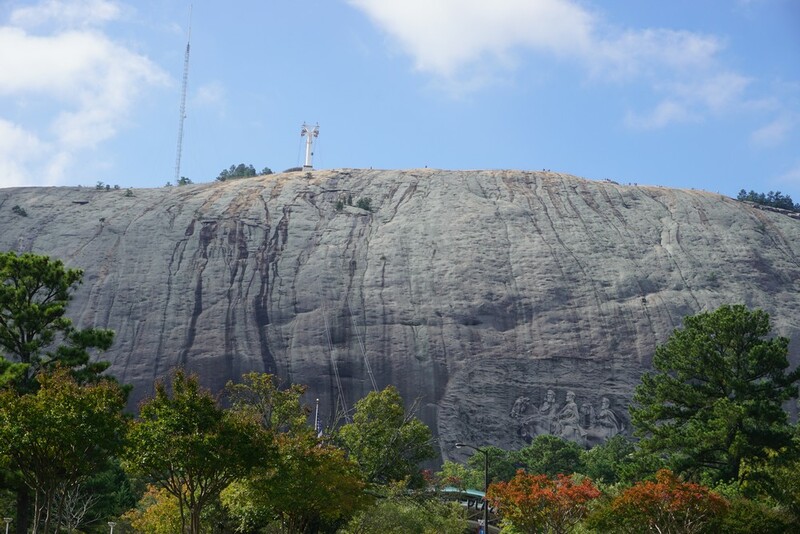 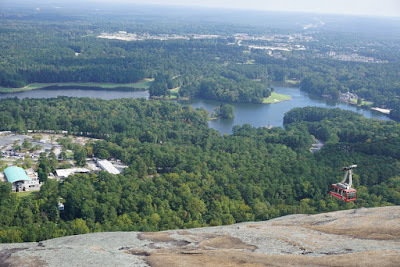 Atlanta is mostly flat, though Stone Mountain in the suburbs juts out of the surrounding area as a giant granite rock. I found the geology most interesting, as much of the rock is exposed and some parts are a sheer cliff wall. Being in the area, I had to visit the mountain and climb it. The weather was great. 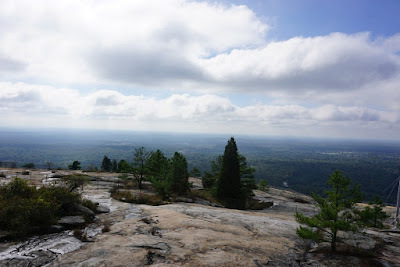 It had just rained overnight, but the rain moved out and and the clouds were breaking through. 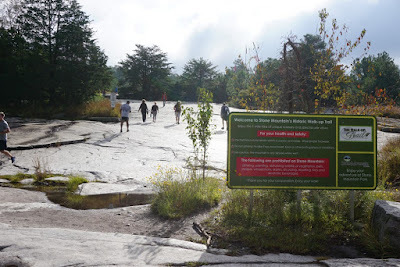 I parked at the bottom parking lot where the Walk Up Trail starts. I don't know why they couldn't give a more original name to this trail, but so be it. 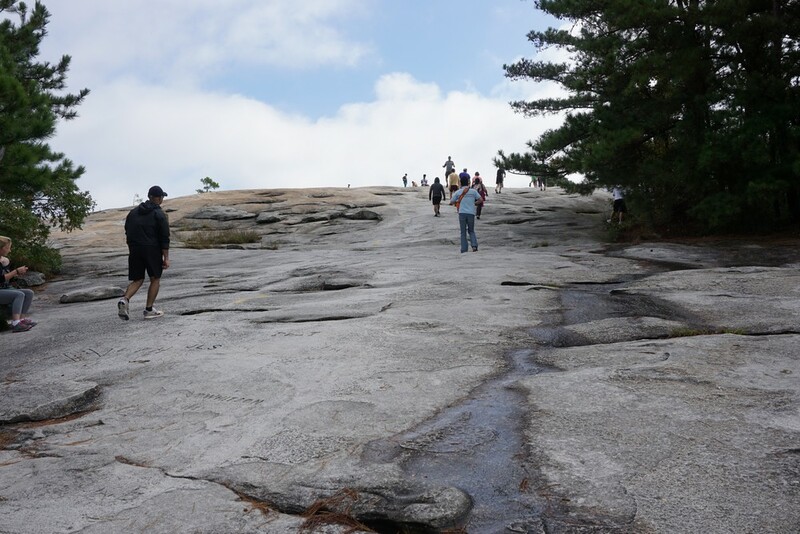 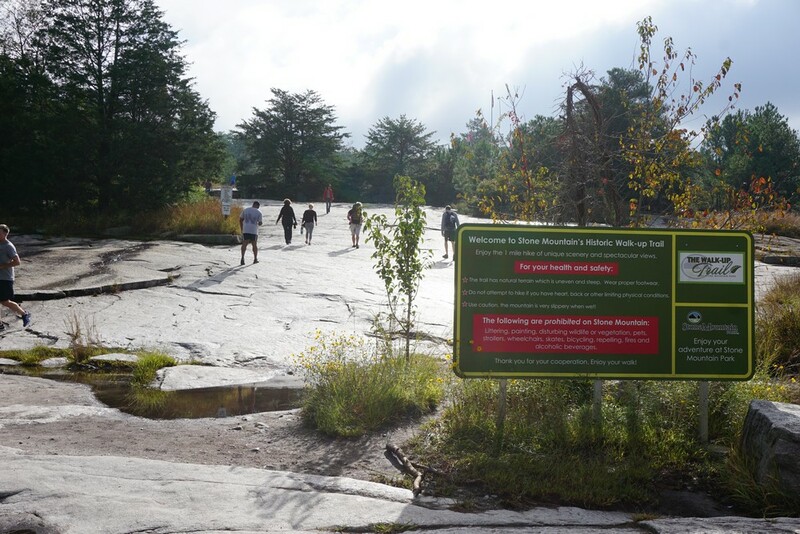 I couldn't believe the volume of people taking this trail up climbing the mountain. 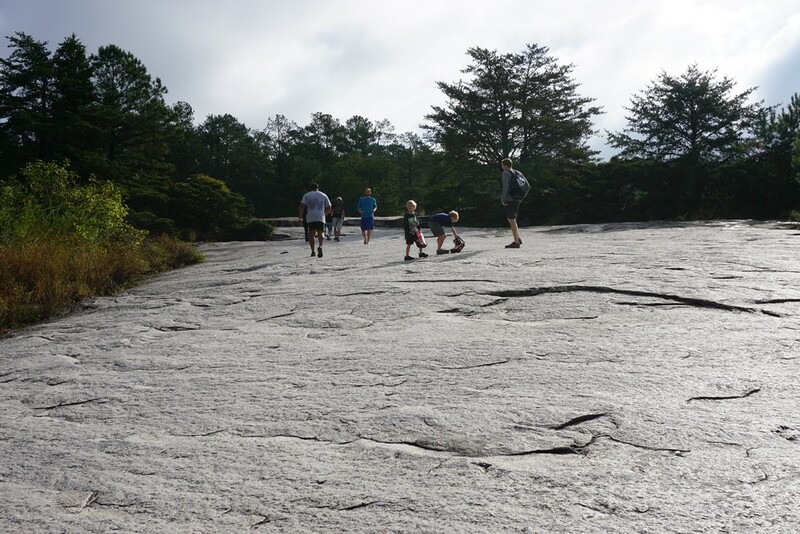 The fact that is was a weekend certainly added to the population. I found the climb up to very moderate. 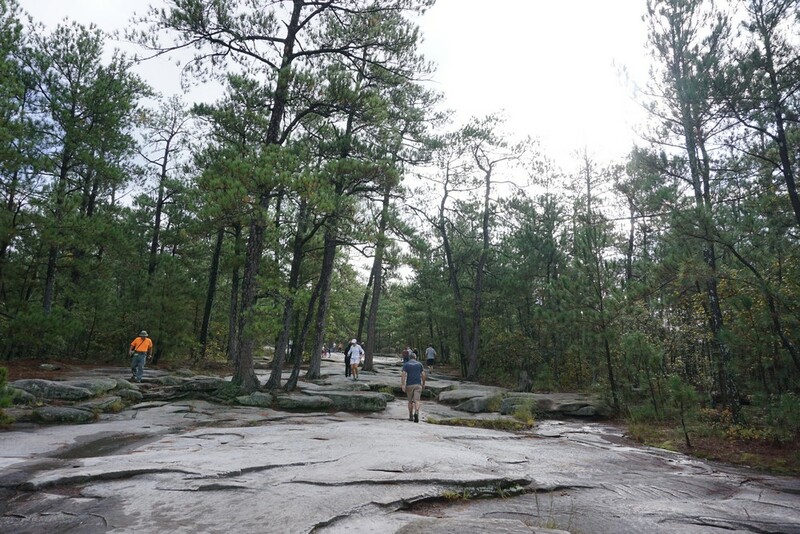 It wasn't all that steep, though much of it was walking on exposed rock face. 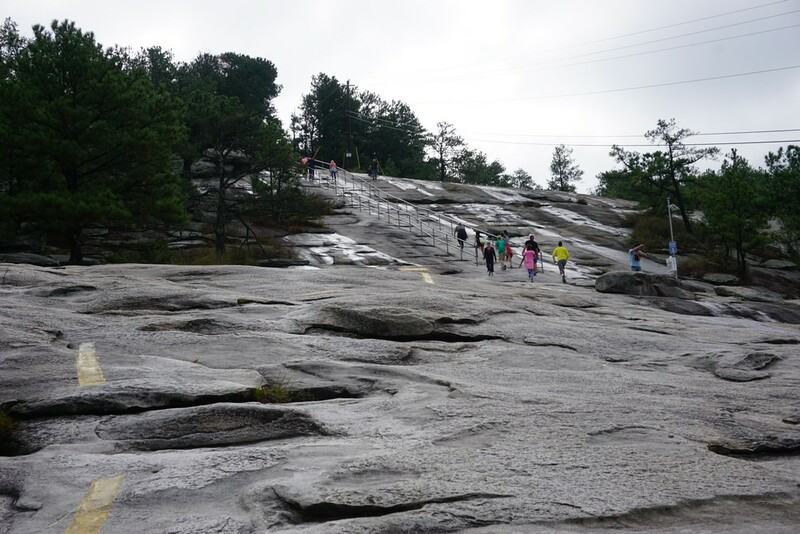 Only at the end near the summit did the trail become quite steep, though there were railings at some of these steep spots. 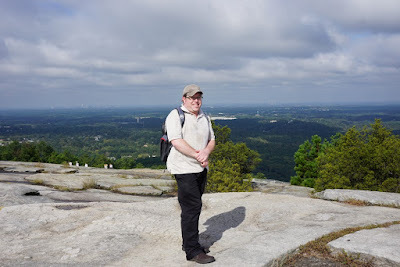 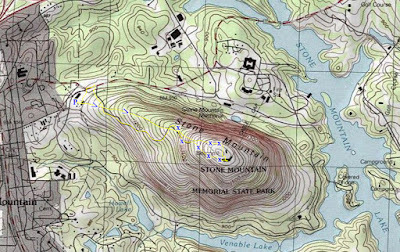 Upon nearing the summit, I went on the southern side of the ridge, and then went around back on the northen side for a loop of all the different views. I then went down on the service road all the way down back to my car.